HUNDREDS of customers took the chance to bag a bargain and help a Bognor Regis women’s charity. The second pop-up shop held by My Sister’s House proved as successful as the first. 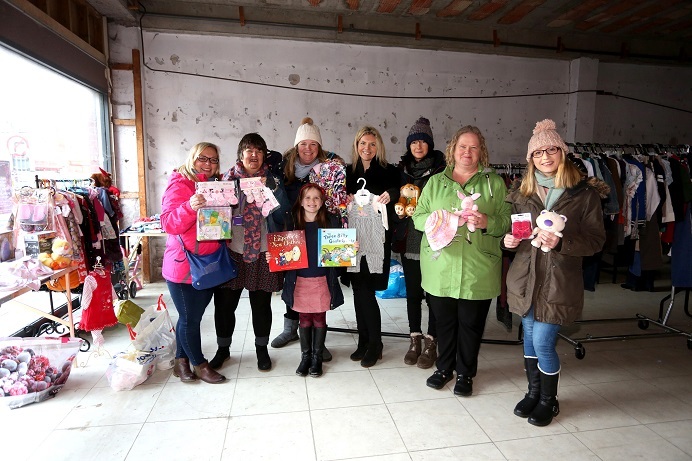 Founder Julie Budge expects the final takings from its donated clothes and toys to equal the £950 raised previously. She said: “There has been a constant stream of customers like last time. We were surprised then by how much we raised. “What is really important about the money is that it’s unrestricted. We get grants and donations but they are usually for specific projects. My Sister’s House is based in London Road. Last year saw it help 292 women to improve their lives after problems such as domestic abuse. She said she was again grateful to Matthew Reynolds for the use of his empty High Street premises last Saturday for the pop-up shop. But it will be the last time because the building is soon due to be refurbished.